Edgar Bryant Stansbury, son of Emmet and Mable Stansbury was born 1906 in Corbin, Kentucky. 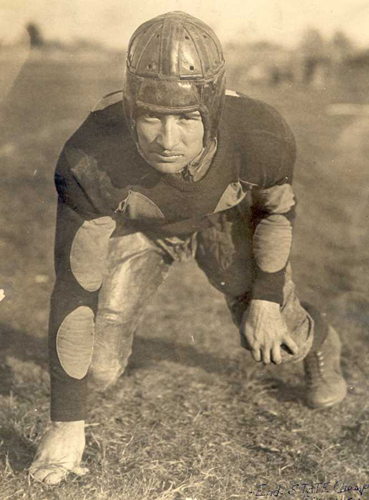 He attended Shepherdsville high school and came to WKU in 1926 where he played basketball and football. Upon graduation in 1930 he became assistant coach to E.A. Diddle. After World War II he returned briefly as athletic director in 1946-1947. Stansbury returned to the air force in 1947 and later worked for Rockwell. A lifelong WKU supporter, he died in Largo, Florida in 2009 at the age of 103. The collection is available for researchers to use in the Harrison-Baird Reading Room of the Kentucky Building, Monday-Saturday, 9 to 4.